She's Hitched! - Jill Ruth & Co.
My oldest daughter is officially married!! The day was just so very, very wonderful!! Would you believe I really have only a handful of photos???? I can't wait to get the photographer's back. I was so busy with so many things there just wasn't time to stop and take pictures. I took a few at the reception hall after we decorated on Thursday. I wish I had a photo of the outside because it was at my brother and sister in laws vineyard and tree farm...and it was so beautiful out there. My daughter couldn't have been happier with how it all turned out. The stumps turned out so nice. The flowers on them came from someone on Craig's list from their wedding and we reworked them. Now, they will be dismantled, reworked, and used for a third wedding at my niece's in July. How's that for going green?! 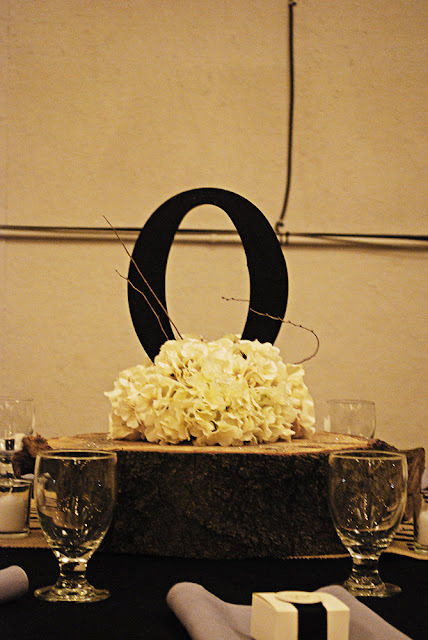 Half of the centerpieces were just flowers and half of them had an "O" for their last name. We bought the "O"s at Hobby Lobby and painted them black. I nestled them down in foam with the flowers and added some twigs from our trees outside. We sprinkled glitter on all of them after they were set up. Lauren and I cut and edged table runners out of burlap, then with my silhouette cutter, made a stencil of their monogram and painted two on each table runner. I will say that it was an ambitious project, but we were so happy with them in the end. Now, the burlap from the runners can be used in any number of projects! It looked so pretty after the ice and water were in the glasses, the candles lit, and the lights dimmed!! 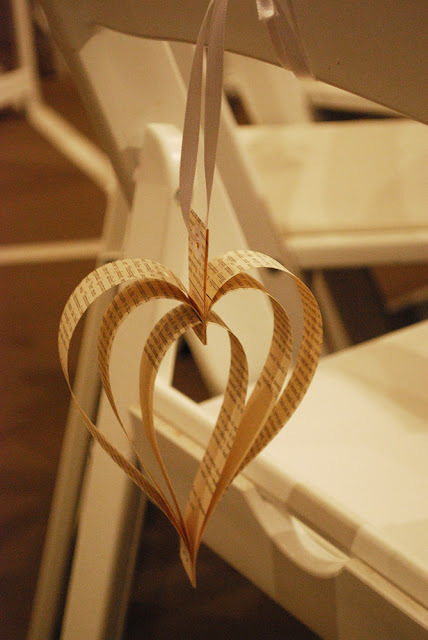 Do you remember the book hearts from this post? Each chair had a book heart tied to it. The curves and movement of the hearts added a simple gracefulness to the atmosphere. The favor boxes had Baker's Chocolates nestled in shredded book pages. We hung two grapevine wreaths (remember this is at a vineyard/tree farm) as overlapping wedding rings above where Lauren and Kyle sat at the head table. (far right on the picture) You can't see in this photo how they overlapped, but they did and we really liked the simplicity of it. As the photographer was taking a picture of our kids, I quickly took this. Other than this, I have absolutely no pictures of the little gals in their dresses, my son, or a decent one of everyone actually posed. I did get a couple fun ones of Lauren when she got a little silly. After we get the photographer's pictures I'll share more!! The Mass was beautiful and I have to admit I was pretty emotional a number of times. ...Just so very, very grateful for His blessings, for her happiness and for this new member of our family. Jill - this wedding looks spectacular! 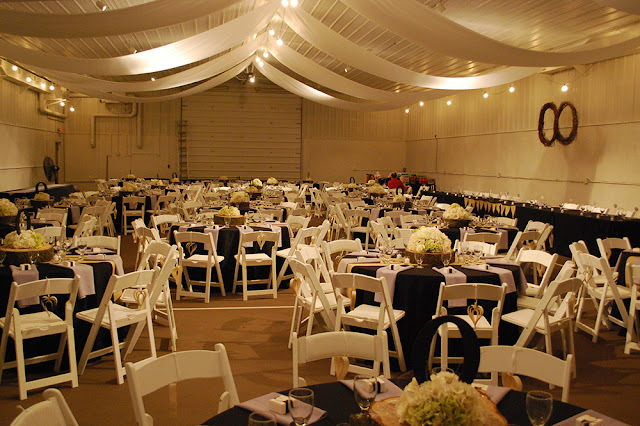 I know that you put so much effort into planning and it shows - love those burlap runners - everything has such simple beauty to it - congrats to all! Jill, how beautiful...and the last flirty pic of your daughter...Looks like she is saying, "I got my Man!" Great work, I know you are exhausted. Beautiful! All your hard work shows. What a great idea with the flowers, who knew? 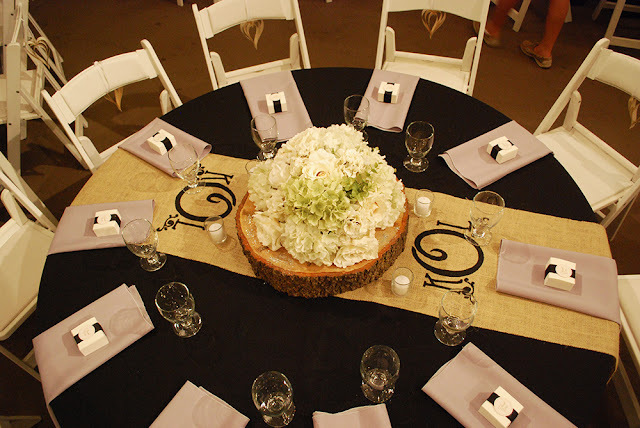 The stump center pieces are so wonderful! I'm glad that you took time to have your nose in the bouquets. Now rest for a minute! Just gorgeous! And choosing to forego the camera and have others take photos is one way for YOU to focus entirely on the things that needed to be done, and to just enjoy. My lovely daughter-in-law told me before the wedding last fall (of our daughter) that she would take photos of all the little details so I wouldn't have to. Such a wonderful gift. 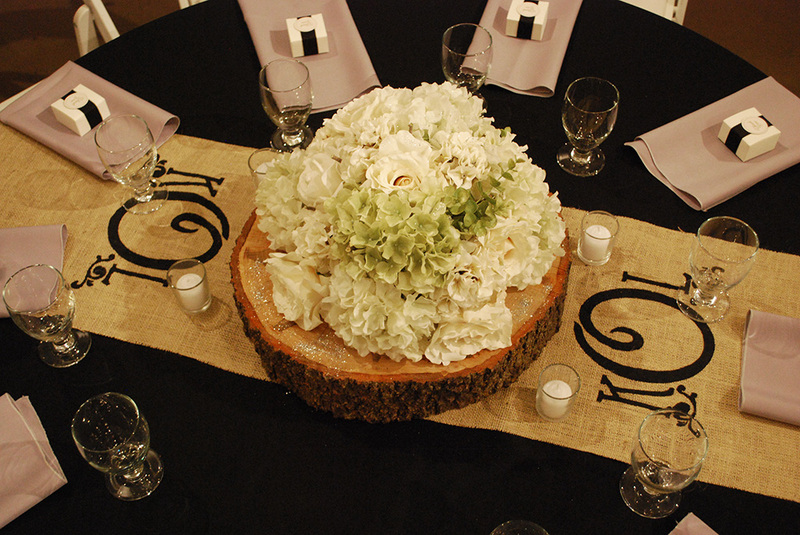 I love the burlap runners, the stump centerpieces, the flowers. Looking forward to seeing more photos. What a lovely family you have, Jill. Truly, one of God's great blessings. Now, relax a little. good grief - i'm emotional just looking at it all! Jill - congratulations to you and your daughter!!! A new husband - a new son - a new family - you are blessed!!! Well what pics you DO have are wonderful. Your daughter is beautiful. And I love the flowers! Love those hearts....as you well know...since I was the lucky winner of the garland!! It's all so incredibly beautiful. Can't wait for more. congratulations to your daughter. She is a beautiful bride. Everything is so pretty...the setting just magical. O Jill ... thank you for sharing a peek into what was surely a most blessed and beautiful day! The pics you did take are splendid and the 'green' centerpieces are O so lovely too! Brightest of Blessings to the beautiful bride and handsome groom for a very sweet and long life together! I will be smiling the rest of the day thinking of such a happy time! I love how "simple" it all looks. But I KNOW it takes A LOT of work to achieve that pared down look! 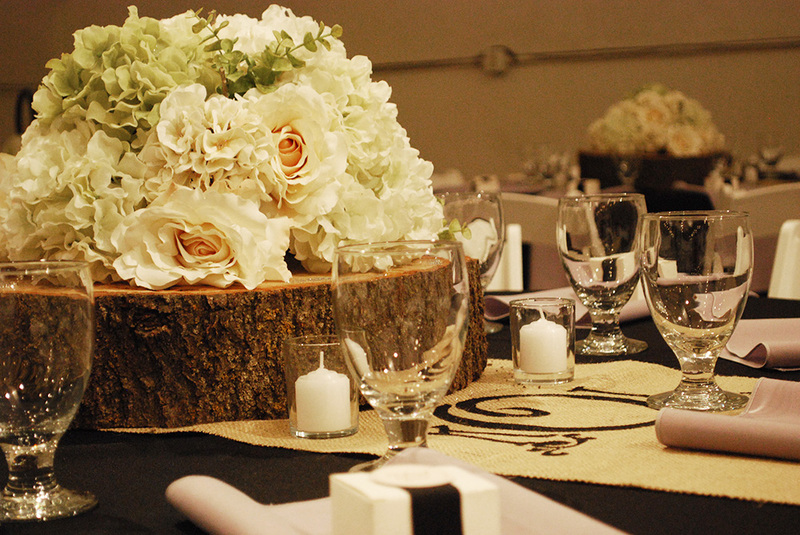 The centerpieces have the presence of a bodacious bridal bouquet (And how great that the stumps will see another big event!) The table runners are genius. Who knew a humble fabric could look so formal with just a black monogram?! I guess YOU did! ha! I'm glad you took time to smell the roses, but equally glad that you took enough pictures to share the day with us! I hope we get to see a peek of your niece's wedding! I'm in awe Jill! Everything is just stunning! 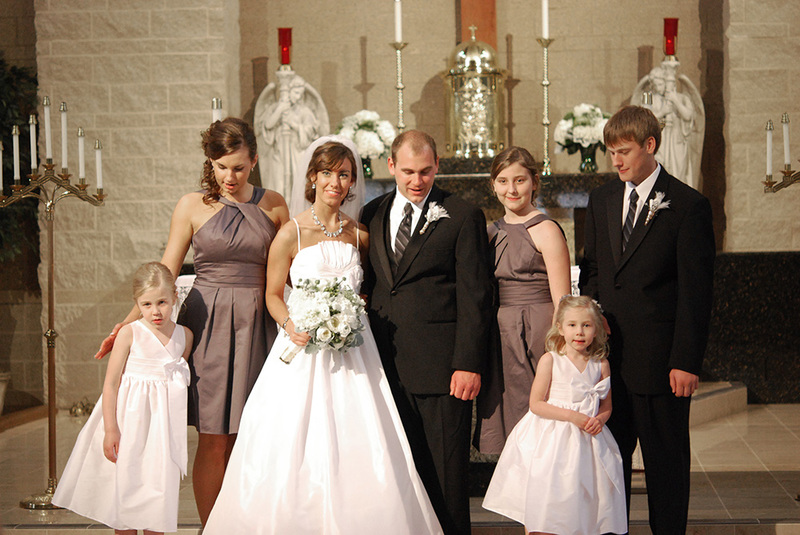 What a lucky daughter to have such a talented (and willing) mom to work magic at her wedding. And what a lucky mother you are to have such a beautiful daughter and family. Best wishes to the happy couple! 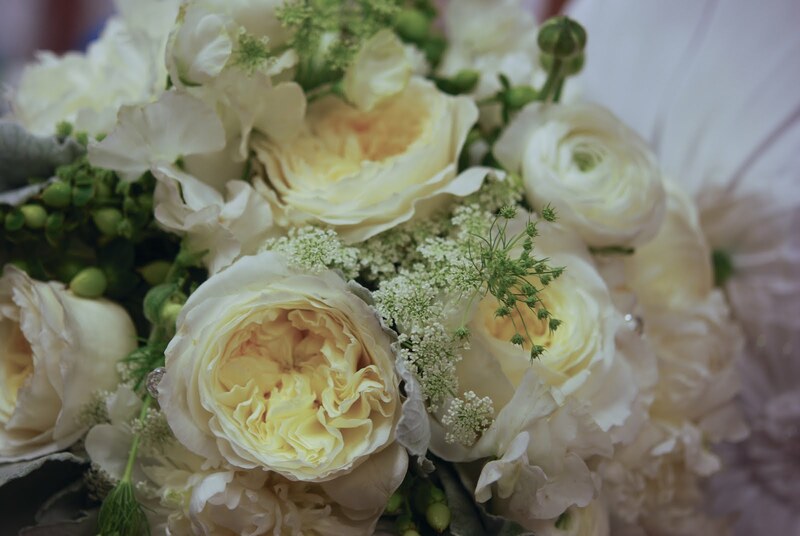 Now rest, remember the memories and say a little prayer for those of us who are still in the planning and trial and error stage of making a wedding look effortless but elegant. Like your's! ps - where did you get burlap that isn't the cheap stuff with huge holes like at Hobby Lobby? I can hear the love in your words, and I love that. Everything is so beautiful!! Especially your daughter! I love that picture! It looks like she's saying, "mom, you rock and this wedding rocks and my life rocks!" I am so happy for you!! Wow Jill, it all looked so beautiful... magical even. I know you all worked hard on all the details. Congratulations to you all! Oh, by the way the spoons were a hit! I saved them for this past Saturday and I think they are all gone. I may be calling for more! 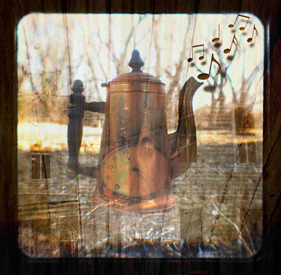 Beautiful photos, Jill! Your daughter was a lovely bride and the decorations were wonderfully personal! goodness me, Jill, I haven't been to visit for a while and I missed the wedding! But the tables were gorgeous, you did such a professional job of them! I often go to events and afterwards think, Oh darn I didn't get any pics, or maybe just one or two. Then I think that it must mean I was far too busy enjoying myself!! Pleased it all went off without a hitch!